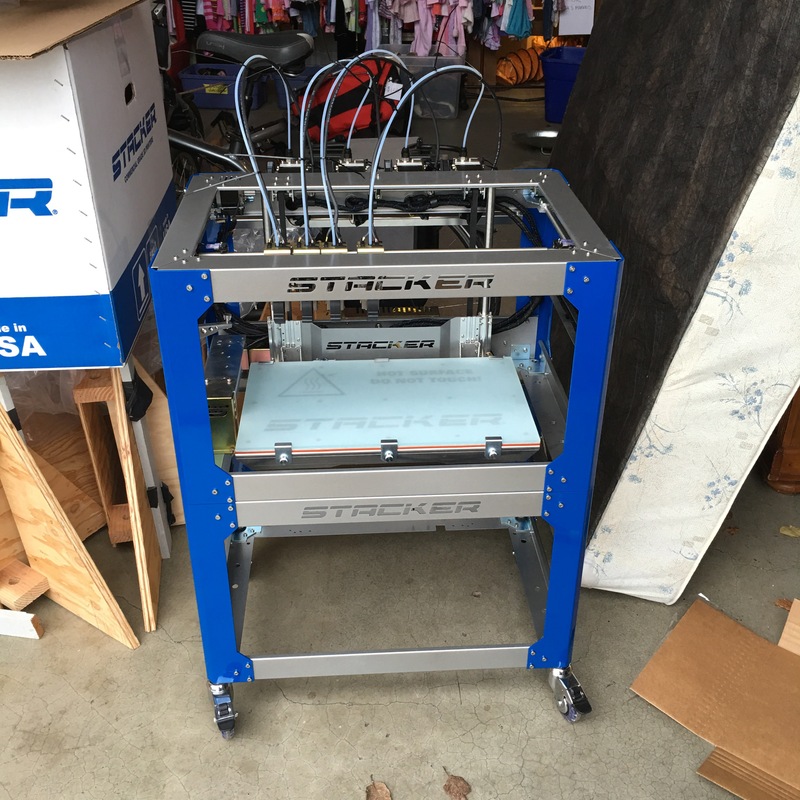 Yesterday I received my Kickstarter-backed Stacker Commerical 3D Printer. This morning, before work, I had the opportunity to finally open the boxes. 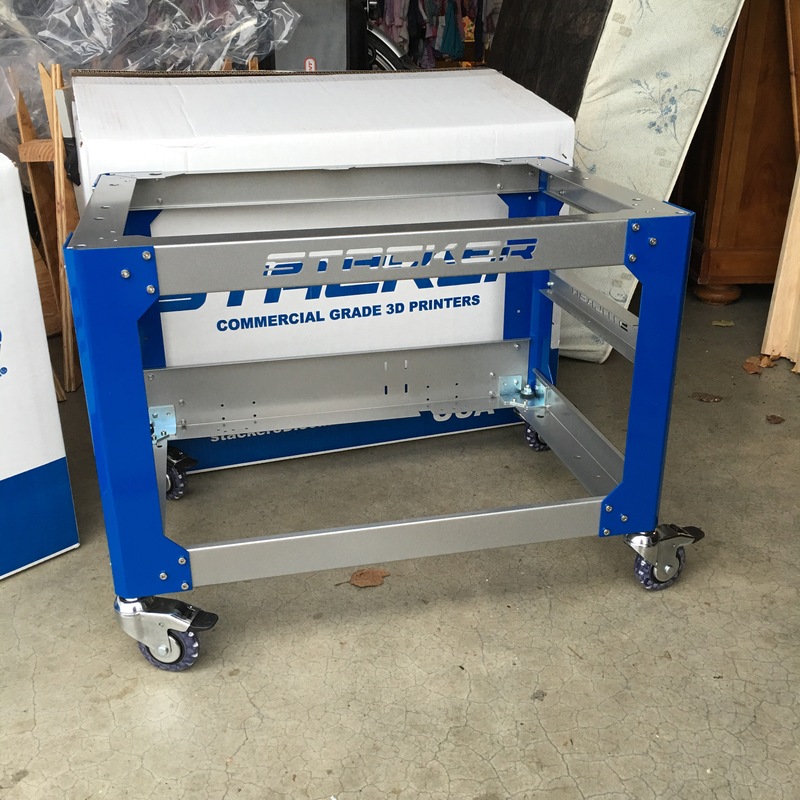 While not having time to unbox the printer, I did unbox and assembled the stand. 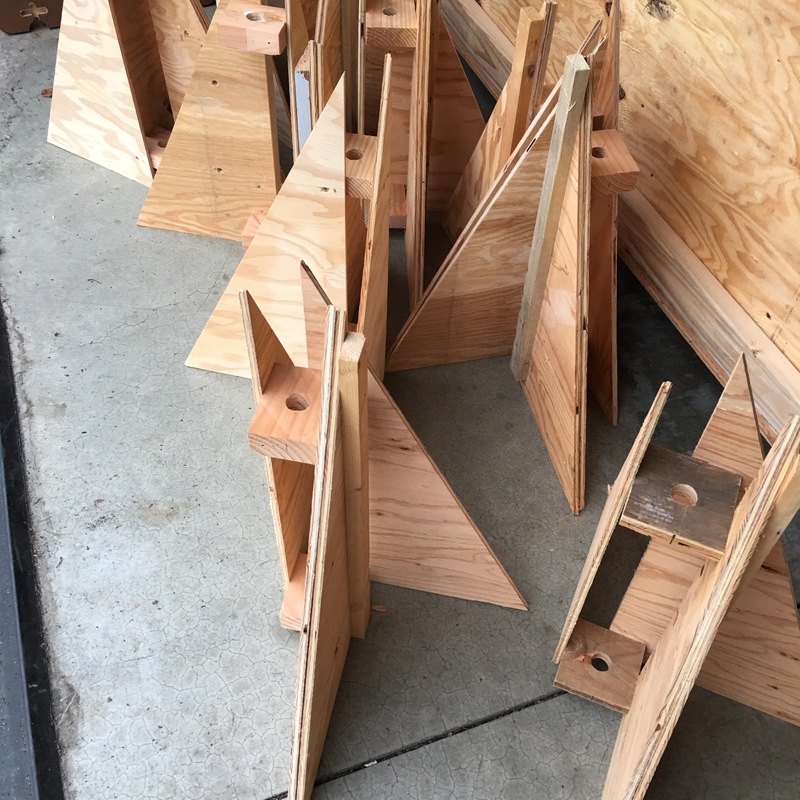 I really need to get on the redesign of these Our Lady of Lourdes Auction Lighting Pole Supports, so I can disassemble and make some space inside MakerCave. My wife threatened to use power tools if I didn’t come and do a quick project for her. 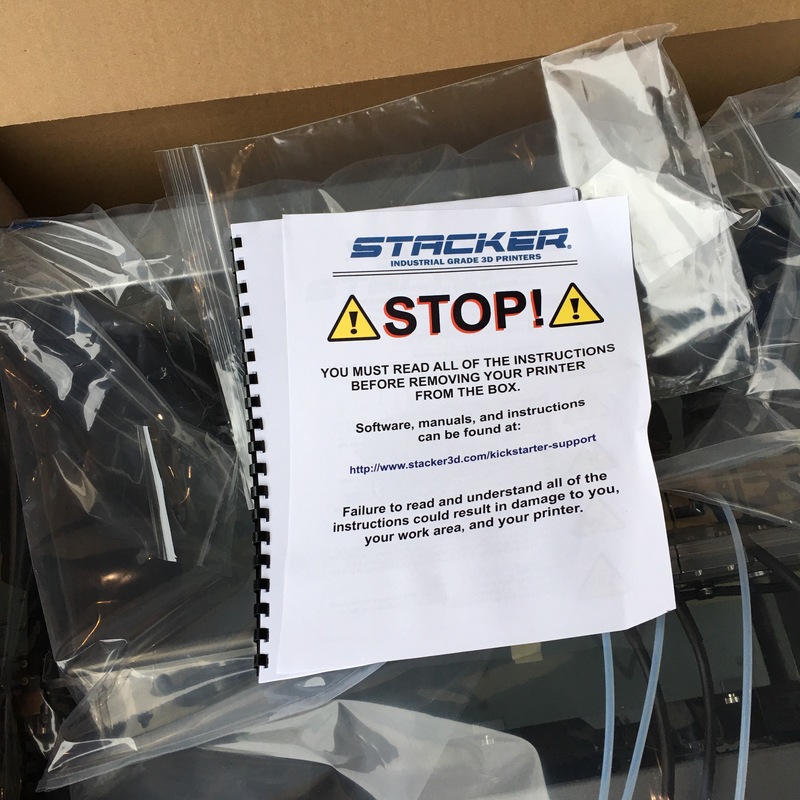 Of course, I couldn’t resist continuing on with the assembly of my Stacker Commercial 3D Printer. I mounted the printer onto the cart, installed the filament rail bracket and filament drive hardware and cable-tied the extruder wiring harnesses to the filament guide tubes. 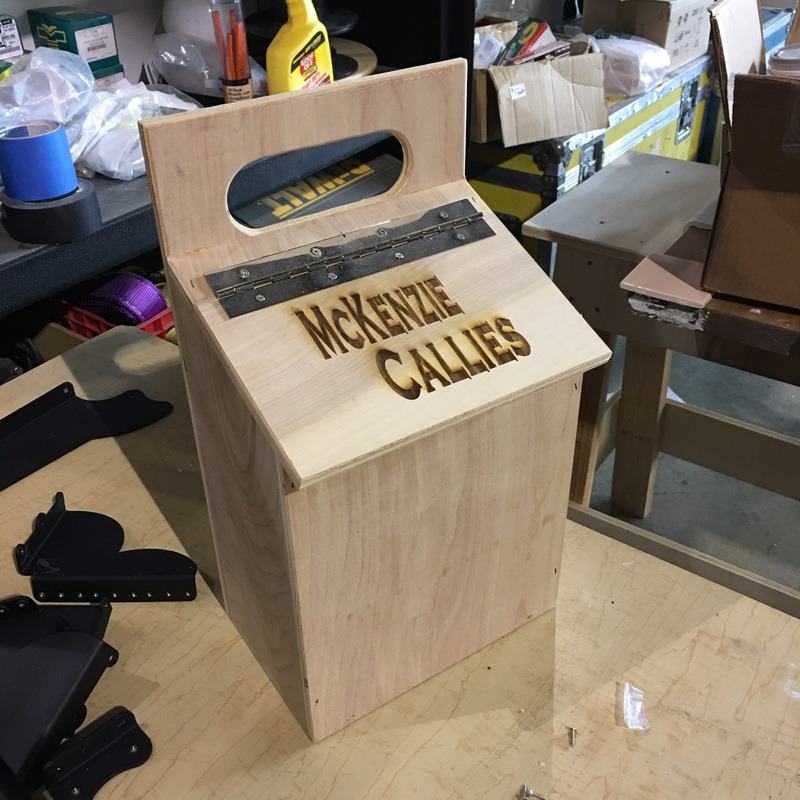 This entry was posted in Shop Log and tagged Our Lady of Lourdes Auction Lighting Pole Support, Quick Make Project, Stacker Commercial 3D Printer by kietcallies. Bookmark the permalink.